Even though yo’ve not been in Lincoln Preschool for very long, Alia we have seen your confidence grow hugely during your time with us. We have enjoyed observing the ways in which you have enjoyed all the different activities and challenges presented to you with an assured confidence. You express yourself very clearly, Alia both with the children and adults, and you are able to select activities based on your interest at the time, rather than be influenced buy peer presure. Sometimes that’s not easy thing to do! You have a well developed self-awareness and because of that you are able to recognise the progress that you have made during your time here. An example of this is the way that you mastered the tchnique you needed to swing on the rope with your feet off the ground. You were so pleased with your achivement here and rightly so. You have become increasingly confident in your interactions with your peers and in the way that you are willing to give new activities ‘a go’. We are sorry to see you go ALia, we’ve really enjoyed having you here in Lincoln Preschool. 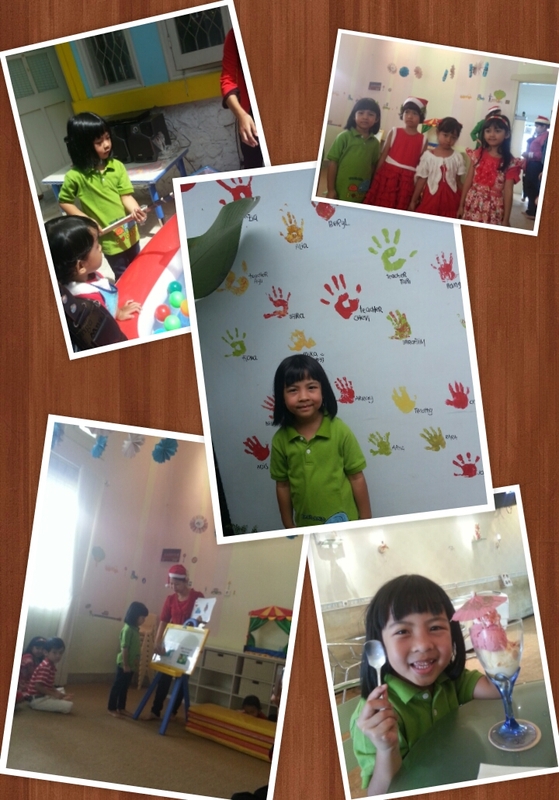 We wish you have lots of luck in Lincoln Kindergarten. Belum ada cerita ALia masuk pre-school kok tiba-tiba udah good bye aja yaa?! Jadi, ALia mulai masuk pre-school kira-kira 6 bulan yang lalu. Cuma 2x seminggu dari jam 8-12.30 tapi itu cukup ngasih ruang aku buat ngapa-ngapain sendirian (me time nih ceitanya..) dan bikin Alia tambah pintar dan mandiri. Hari-hari sulit pertama kali masuk sekolah baru tanpa Ibu cuma terjadi di 2 hari pertama. Hari selanjutnya gampang dan santaiiii…. Intinya ALia, Ibu dan Bapak hepi atas pilihan masukin ALia ke pre-school. Eh, ada sih yang bikin nggak hepi kalo pas waktunya bayar :p Tapiiii next week ALia udah 3 tahun jadi udah dapet 20 hours subsidi dari pemerintah nggak harus bayar mahal lagi, horraayy….